Every great experience should think about what its marker should be. Experience markers are physical cues that visually represent the experience and signify that this is a great place to experience. 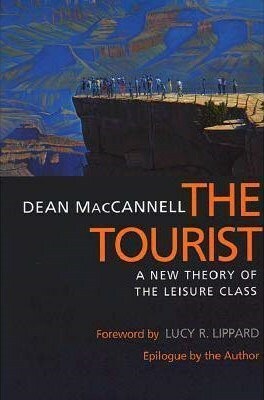 The term was popularized (if not coined) by USC Professor Dean MacCannell in his insightful book The Tourist. He wrote: “Usually, the first contact a sightseer has with a sight is not the sight itself but with some representation thereof… [with a] marker” (p. 110). And I would even include here the subtle marker that Starbucks uses. No, not the green Siren logo, but the way it never lights the outside of its places, instead focusing the lighting inside each place to put its guests on stage. Moreover, while all of these are visual, experience markers could engage other senses. Think of the aroma of a Lush store as its marker, as you learn of its existence olfactorily long before you come across it physically. Back to tourism. In his brilliant study on the subject, MacCannell went on to point out that “The problem of modernizing areas seeking to attract tourists is not an absence of sights. Rather, it is the lack of a fully developed system of sight markers with worldwide extension” (p. 170). So when I work with tourist destinations – as I recently did with a not-yet-new-to-the-world place – I make it a point to have the client ideate on experience markers. If such a place wants to become an experience hub (as Jim and I define it in our Placemaking Portfolio from Chapter 8 of Authenticity), then it needs a world-renowned experience marker to signify its standing and thereby attract visitors from all over the globe. Think of the Statue of Liberty in New York, the Eiffel Tower in Paris, or the Sands Casino in the growing experience hub of Singapore (something I predicted back in 2013). The innovation of Las Vegas – no mere experience hub but the epicenter of the Experience Economy! – was to turn markers from being mere signifiers into experiences in their own right. Visit the city and you will find experience marker experiences layered upon experience marker experiences, beginning with the world-famous “Welcome to Fabulous Las Vegas Nevada” sign on the outskirts of the Strip, to each themed casino on the Strip (eg, The Bellagio), to the enticing experience outside the casino abutting the Strip (eg, the fountain show at The Bellagio), to signature experiences within the themed casino (eg, Cirque du Soleil’s show O at The Bellagio). I’m sure there are many more guidelines that could be developed from more fully examining experience markers. But realize that after making the marker that you must market the marker! 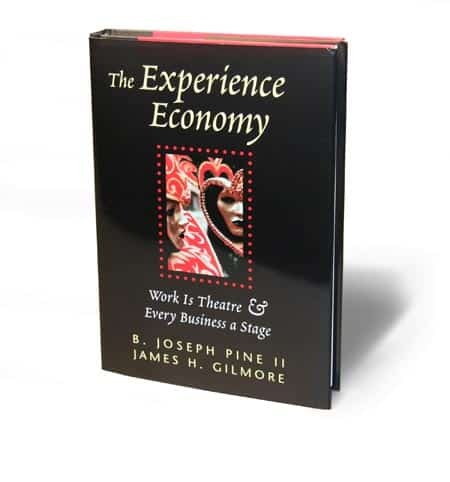 Making an experience marker that fits the criteria above, in fact, is one the primary ways of becoming world-renowned and garnering global media impressions.